Good Times and Darker Than Wax have a pretty tight relationship that goes back many years, which is why both crews have been known to regularly team-up to put on some of the most fun parties in Singapore. 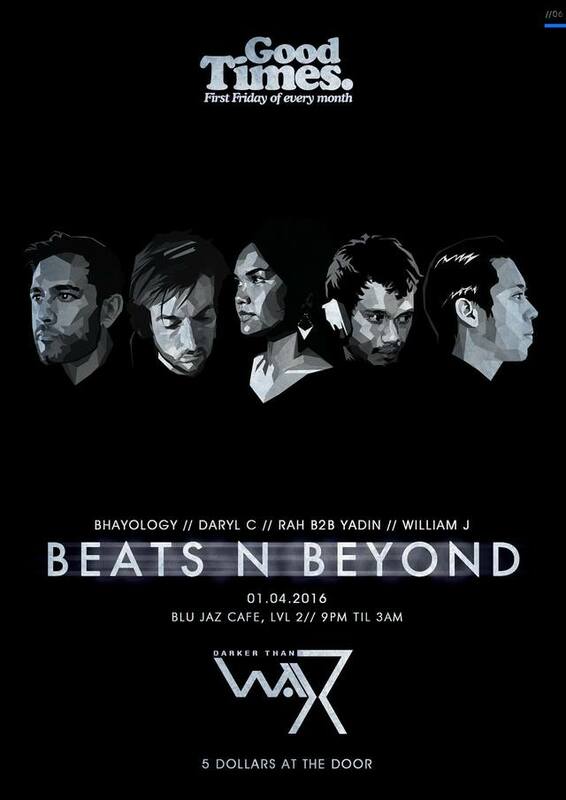 And the latest installment of their famous partnership comes to you this Friday night at Blu Jaz Cafe in the form of Beats N Beyond! Featuring regular DTW stalwarts like William J, RAH and Daryl C alongside kindred spirits such as Tropical Temple resident Bhayology and TEKNOTAKTEKNO's founder Yadin, this one looks to be a stacked line-up full of the underground's favourite selectors. Folks can expect a quality mix of hip-hop, house, Afrobeat, trap and beyond alongside plenty of friendly vibes from both collectives. Check out Bandwagon Mixes from Yadin, William J, Daryl C and RAH (b2b Nez) below.